I don't know about you guys, but in Florida right now it's 48 degrees and my bones are frozen. Weather like this in Florida is unacceptable, man. As we approach wintertime, that means (for you suckers up north) freezing wind, snowstorms, and, worst of all, no golf. No golf... unless you have a Power Tee. Did you know Power Tee can be installed indoors? That's right - your warm, cozy, heated home can become your own personal driving range, and you can practice golf without having to go outside and freeze. 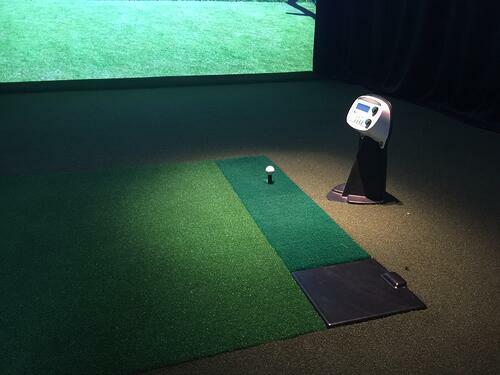 Did you also know that Power Tee can be used with any simulator system? You can purchase a custom Power Tee installation, and you can even order online! Think about that - you can have a Power Tee ordered, delivered AND installed without ever stepping foot outside your house. That makes for a happy holiday indeed! Plus... Power Tee ships for free! So don't let your golf game deteriorate like the conditions outside. Stay performance-ready or improve your swing - without leaving the warm sanctuary of home. For more information, click here to check out our Home Use Power Tee - the same system used in the homes of PGA Professionals Jim Furyk and Jason Dufner.